Wisconsin Historical Markers: Saint Lawrence Church / Stangelville, Wis.
Saint Lawrence Church / Stangelville, Wis.
St. Lawrence Catholic Church is located on southbound County Road AB, at its intersection with County Road J, Stangelville, Wisconsin 54208. St. Lawrence parish was started in 1864 by Czech immigrants from the Chodsko region of the province of Bohemia. 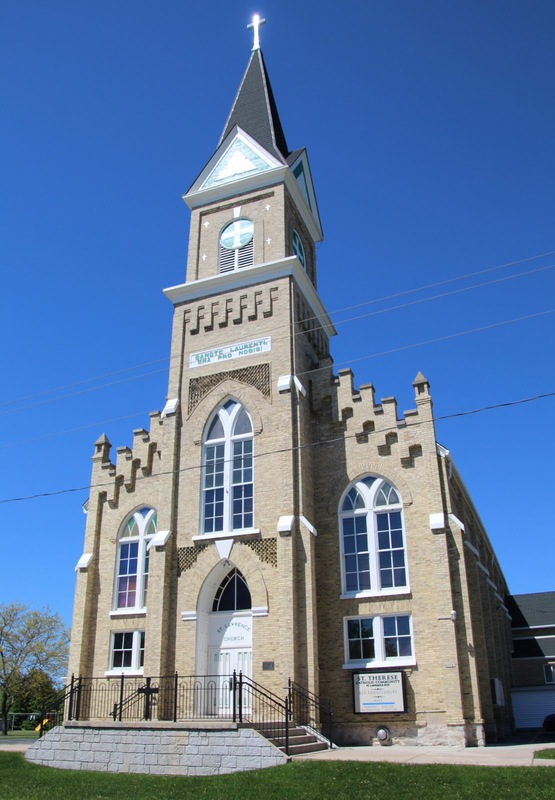 This building was erected over two years, from 1892 to 1894, in Victorian Gothic design. It cost $15,000 (approximately $382,000.00 today) to build the church, a staggering amount since the parishioners were poor farm workers. St. Lawrence Catholic Church was designed as a National and Wisconsin Historical site in 1989. 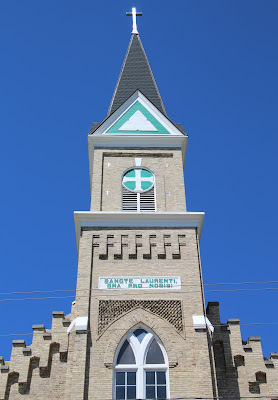 See also, St. Lawrence Catholic Church, also at this location. The marker is visible to the right of the church. The inscription reads: "St. Lawrence Pray for Us." with the church visible to the left. 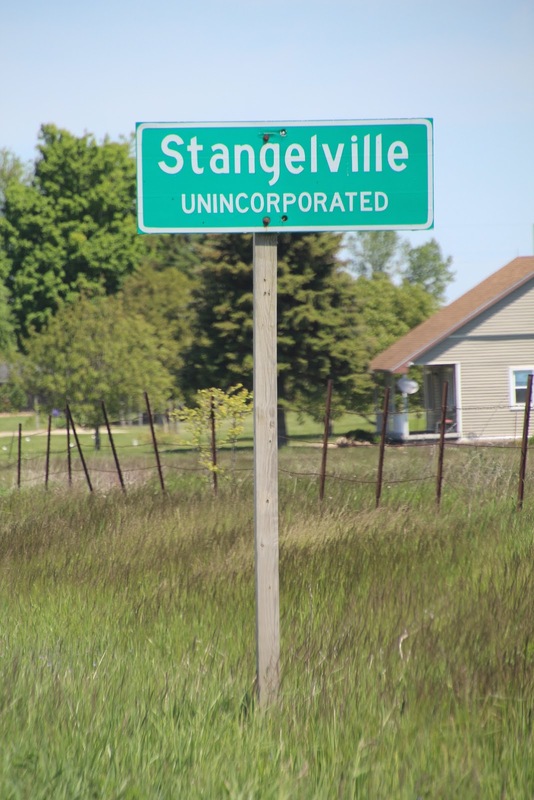 The marker is located in Stangelville, Wisconsin.